Small pillow case. 40 x 40 cm, with press studs. Additional colours an other size are available on request. Bedding, sheets and large cushions can be ordered below. 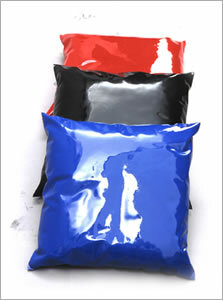 and here are all colours in 0,60 mm latex.